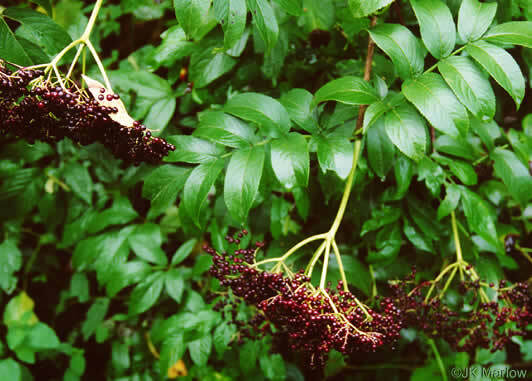 Your search found 2 image(s) of fruit of Elderberry species. Fruits dark purplish-black or black, borne in flat-topped clusters, per Woody Plants of the Southeastern US: A Winter Guide. 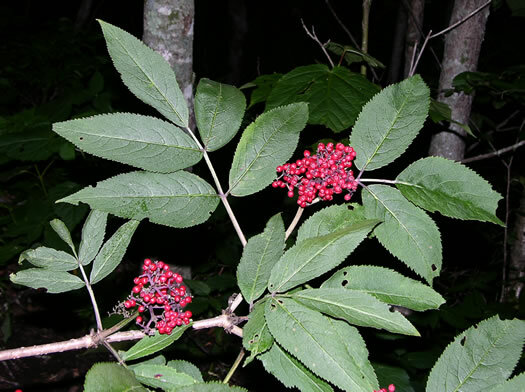 Fruits red, borne in elongated or racemose clusters, per Woody Plants of the Southeastern US: A Winter Guide.